Yosemite Forum • View topic - What is / was the area called Chipquapin? What is / was the area called Chipquapin? What was/is the area known as Chinquapin? I have passed this area many many times. I always wonder why this Junction is given a name other than say, "Glacier Point Junction" or some other name. It was named Chinquapin after Chinquapin Creek, which is immediately northwest of Chinquapin. Chinquapin Creek is today called Indian Creek. Chinquapin Creek (and therefore Chinquapin) was named for the Sierra Chinquapin (Chrysolepis sempervirens) brush that grows in the area (with spiny seeds). 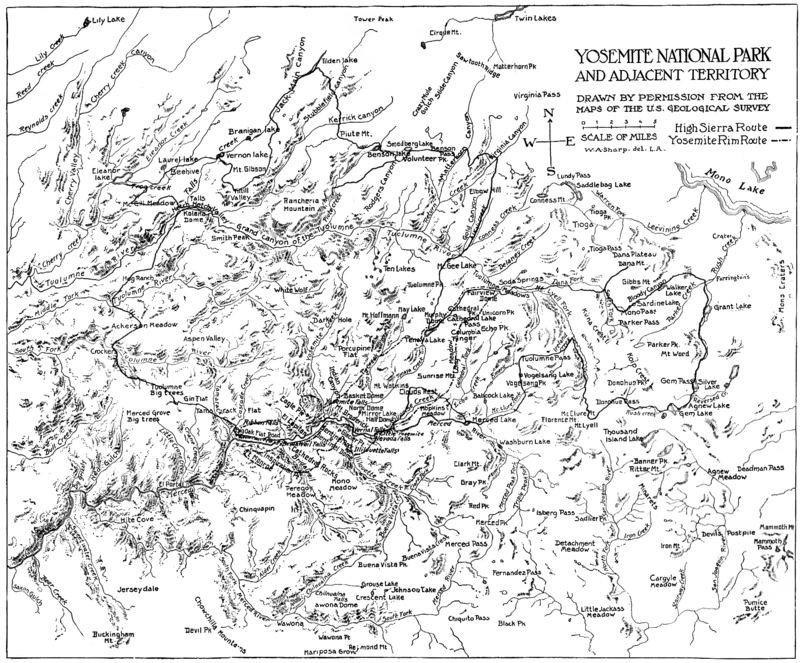 Chinquapin was the second ski area in Yosemite. This second ski area at Chinquapin was opened after the Wawona Tunnel was built (allowing Winter access). Before that, people skied on the glacial moraine in Yosemite Valley that is just east of the horse stables by the Pines Campgrounds. Later, the ski area moved from Chinquapin to Badger Pass on the Old Glacier Point Road. Today the ski area is in Simpson Meadow (below Badger Pass). More detail is in Gene Rose's book, Magic Yosemite Winters: A Century of Winter Sports (2000). Chinquipin used to have a Gas Station up to the 1990s. Before that, the Gas Station was a small ski lodge (what some refer to as a "lunch room") that opened in 1933. The Gas Station was cleaned up as a toxic site by the park concessionaire (Delaware North) as a condition of their winning the Park concession in 1993 from the previous concessionaire (MCA Corporation).